230% Water ATK damage & skill gauge 30% down to enemy with lowest Water resistance. Skill gauge 20% up to your 3 heroes with highest ACC. 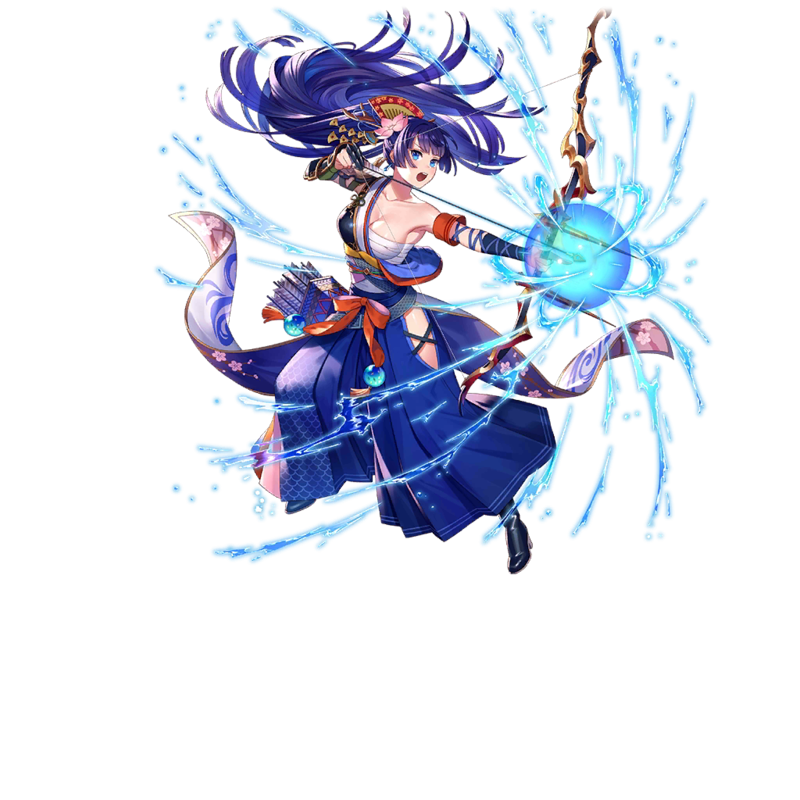 20% Water ATK damage 15 times to all enemies. All allied heroes' ATK/DEF up 15% for 5 turns.